Update: Voting is now closed! Thank you to all who participated in the People's Choice poll. The winner of the People's Choice award is the Nvidia Shield (2017 Edition). 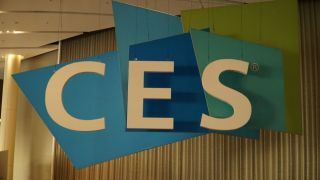 Be sure to check out all the recipients of TechRadar's 2017 CES Awards, the best of the best tech on display at this year's show! Heading into CES 2017, we knew there'd be oodles of tech, and our expectations were met, and then some. But now it's time to pick the best of the best, and we need your help to select this year's People's Choice winner for TechRadar's 2017 CES Awards. What impressed you the most? What gadget can you simply not wait to get your hands on? What blew you away, delighted or surprised you? This is your chance to pick what you think is the most deserving piece of tech for the coveted distinction as the people's pick for CES 2017. All you have to do is make your selection in the poll below, and the results will be tallied to determine the winner. So, what's it gonna be? Sony's return to OLED in the Bravia A1E OLED TV, the wallpaper-thin LG OLED W Series or crazy-cool Toyota Concept-i self-driving car? Or how about the 4K HDR-streaming, Google Assistant-supporting Nvidia Shield 2017, or the impressive Dish AirTV set-top box? For something really different, there's the Holo Cube. Just check it out. Voting is now closed, and we'll be announcing all the winners of TechRadar's 2017 CES Awards shortly!